Get creative with Milk Paint Powder to create different effects and finishes such as distressing, rag-rolling, sponging, stippling and stencilling for all DIY Projects. The most sensible way to determine whether a specific colour will suit a piece of furniture, is to stick a swatch of the colour to it. Milk Paint Powder provides 100g samples (makes about 300ml liquid paint) of all their colours. Paint the colour onto a piece of porous cardboard or poster board and apply it to the furniture. Keep it there for at least 24 hours, and observe how the colour looks as the light of day changes and the effect your interior lighting has on it. If you wish to use more than one colour, put the swatches adjacent to each other, e.g. in corners. Rooms that face southerly directions receive little or no sunshine, and you can cheer them up by choosing warm colours, such as Milk Paint Powder’s Banana, Mango, Cinnamon, Nutmeg, Paprika or Cocoa. Likewise, you can make sunny rooms seem cooler with colours such as Atlantic, Moonlight and Cornflower. Achieve that classic worn look on your furniture or doors. Mix as directed, keeping the paint slightly thicker (about 1,5 parts water per part of powder). Paint the first coat on quite thickly, and allow it to dry (1 to 2 hours). Then sand lightly using a sanding pad and #600 grit paper. Do the next coat as above, and decide whether you’d like a third coat. Once you get to your final coat, take a Scotch Brite pad or very fine steel wool and scuff it along the wear edges until the wood starts to reappear. Thoroughly wipe off the paint dust, stand back, and call the family to admire your work. Glaze stencilling is a very attractive and subtle stencilling technique, unique to Milk Paint, that leaves the pattern in a darker shade of the background colour. Once the paint is dry, use a glaze (such as boiled linseed oil, wax, varnish or acrylic glaze) and dry-brush / stipple through the stencil as normal. Experiment with Milk Paint Powder. It comes in a powder form which allows for experimental textures such as adding beach sand to your paint mixture or even Milk Paint to the sealing varnish. Try coats of different colours then buff through the top coat in selected wear areas to reveal hints of underlying colours. Milk Paint is also the ideal non-sticky way of doing paint effects such as distressing, sponging, rag-rolling and stippling. Give your project a mere wash that adds colour without hiding the wood by applying a single, thinly pigmented coat. Apply 2 or more coats, sand lightly and then buff it up to a satin sheen. The redevelopment of milk paint in South Africa by The Original Milk Paint Co. has resulted in a paint that closely matches the finish of the previous century. During the research and development phase it came to light that the only way to perfectly recreate the beautiful characteristics of milk paint would be by making and mixing the paint by hand in small batches. The pigments used in early paints were dispersed in the paint medium by hand, resulting in a subtle unevenness of colour across the surface. The painter’s palette of earth-pigmented colours included black and white and greys, buffs and tans, ochre yellows and iron oxide reds, as well as greens from copper compounds. All early paints were made by hand. Each batch of paint, made by painters using books of paint “recipes” or using their own experience and instincts, might well have slight variations in colour – a little darker or lighter, a little bluer and so on. The earliest known book of paint formulations by an American painter is the 1812 guide by Hezekiah Reynolds. It gives instructions for the relative quantities of tinting pigments to be added to a base, but even with proportions held constant, the amount of mixing, or dispersion, varied from workman to workman and resulted in colour variations. Early paints did not dry out to a flat level surface and, until well into the 19th century, paints showed the signs of brush marks. Application therefore was a matter of stroking the brush in the right direction for the best appearance. The rule of thumb was to draw the brush in its final strokes in the direction of the grain of the wood. Raised field panelling, then, required that the painter first cover the surface with paint and afterward draw the brush carefully along the vertical areas from bottom to top, and along the top and bottom bevels of the panel horizontally from one side to the other. In the 19th and early 20th centuries, for very fine finishes, several coats were applied with each coat being rubbed down with rotten stone or pumice after drying. A four to five coat application was typical; however, nine coats were not uncommon at the end of the century for finishes in some of the grand mansions. Generally, they were given a final glaze finish. Though expensive, this type of finish would last for decades and give a rich, smooth appearance. Paint is a dispersion of small solid particles, usually crystalline, in a liquid medium. Applied to a surface, this liquid has the special quality of becoming a solid, protective film when it dries (such as calcium caseinate). Pigment made the paint opaque, thus preventing deterioration of the substrate caused by ultraviolet light, and added colour, thus making the paint attractive. 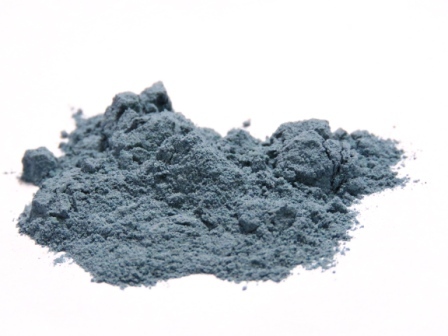 White lead, a whitish corrosion product of lead, was most often used to provide opacity. Early tinting pigments for house paints consisted of earth pigments such as ochres, sienna’s, umbers (from iron-oxide containing clay) and greens (from copper compounds). Common binders to help bind the pigment particles together in interior paints were oil, hide glue, gelatine and chalk. The fluid component was termed the vehicle, or medium, because it carried the pigment. Historically, vehicles included milk (in casein paints), turpentine (in oil paints), and water (in water-based paints). Historic paints were often made with what was available, rather than adhering to strict formulas. Recipes for successful formulas can be found in historic documents illustrating the combinations of ingredients which could be used to produce a paint. Linseed oil, a volatile thinner such as turpentine; a hiding pigment (usually white lead) and colouring pigments. Natural resin varnish was added to oil-based paint to provide a hard, more glossy surface. A translucent layer applied to protect the paint and to impart a more uniform gloss surface. Usually made from linseed oil with natural resin varnish added. 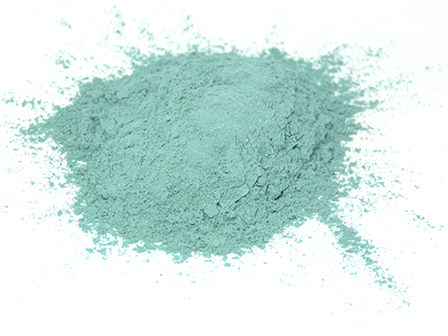 Some glazes have small quantities of tinting pigments such as Verdigris or Prussian blue; some had no pigments added. Water, pigment, and a binder, such as hide glue, other natural glues, or gums. Usually used on interior plaster surfaces. Often used on interior plaster surfaces in utilitarian spaces and, at times, used on interior beams; consisted of water, slaked lime, salt, and a variety of other materials. 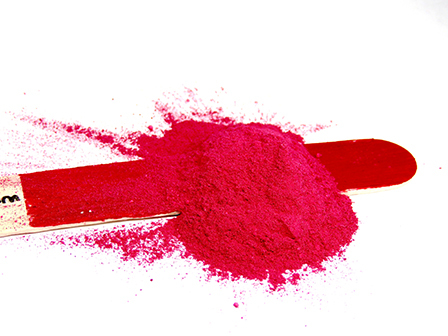 Occasionally a pigment (usually an ochre or other earth pigment) was added to provide tint or colour. Used for interior applications, distemper paints were made from water, glues (one or more different natural glues, gelatine, and gums) with whiting as the basic white pigment to which other tinting pigments were added. Often used on interior surfaces and is another common name for distemper. Paint prepared with pigment, egg yolk or white and water; used almost exclusively for decorative treatments. A water-based paint made of whiting, pigment, water, and gum Arabic as the binder; used almost exclusively for decorative treatments.